At Whitten Brothers of Richmond we take pride in carrying a huge selection of vehicles in Richmond, VA, including popular makes like Chrysler, Jeep, Dodge, and Ram at our Midlothian Turnpike location. For more than 90 years we’ve been working to ensure our customers have the best cars, including the addition of the Whitten Advantage to help improve the car ownership experience. 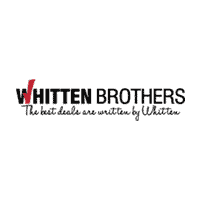 Visit our Richmond car dealership today, located at 10701 Midlothian Turnpike, and let our friendly and knowledgeable staff show you why you should buy your next car in Richmond, VA from Whitten Brothers of Richmond.